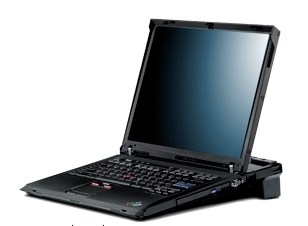 Lenovo ThinkPad R60 laptop computer is an upgrade from ThinkPad R52, and very similar and is budget version to ThinkPad T60. Lenovo (previously IBM) ThinkPad R60 features Intel Core Duo processor, 15″ SXGA+ (1400×1050) LCD display, 128 MB ATI MObility Radeon X1400, 8X DVD Recordable EIDE Ultrabay Enhanced drive, WiFi and GLAN. For enhanced security, ThinkPad R60 has motion sensor and HDD shock absorber for hard disk data protection and built-in fingerprint reader with preloaded security software to protect data in the laptop if it’s lost. NotebookReviews reviewed Lenono (IBM) ThinkPad R60 and concluded that “the R60 is recommended for small business buyers and those in education. I’d highly recommend looking at the T60 if you travel a lot as it is thinner and lighter. But if you’re at a desk a lot or just want this for use in the home, the R60 makes more sense than the T60 as you can get equivalent performance and pay a little less.